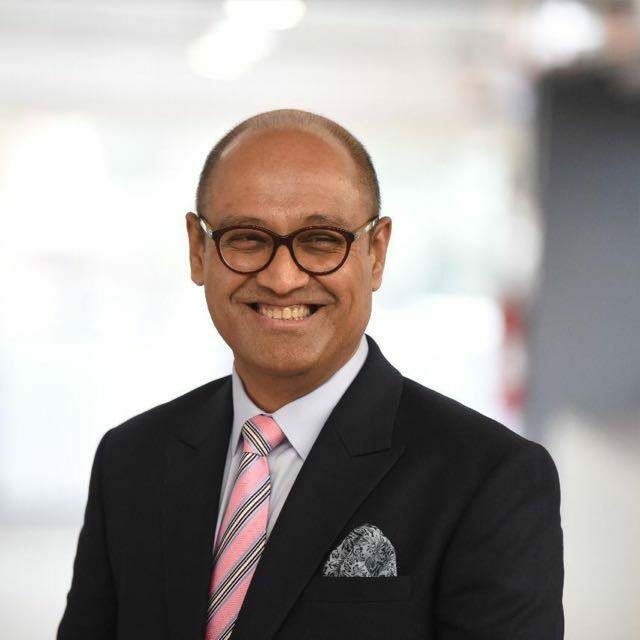 ALEXANDRIA, Virginia, April 14, 2019 -Mr. Sam Subramaniam, Chief Executive Officer of Brand Capital, the $4 billion strategic investment arm of The Times Group (India), and an alumnus of the IRF Fellowship Program (Class of 1999) was today awarded the highly prestigious "Entrepreneur of the Year" Award by the Shiromani Institute. From humble beginnings in Chennai, Tamil Nadu, five decades ago, to managing multi-billion dollar funds in the US and India, Sam Subramaniam has not only achieved outstanding professional accomplishment, but has also ensured that the fruits of his labor have had a multiplier effect on society. After graduating from IIT Madras in 1988, Sam obtained a scholarship to study for a M.S. in Civil and Transportation Engineering from the Vanderbilt University, later completed with an MBA from the Booth School of Business at the University of Chicago. It was during these formative years, that Sam successfully applied for a scholarship through the International Road Educational Foundation, which provides core funding for the IRF Fellowships. “I received the IRF Fellowship during an important phase in my life when I was a new immigrant to America. IRF personified excellence, dedication and commitment to its members and its credo and this was a great thing for me to see and learn and grow. I am fortunate to have become a Fellow at that time”, according to Sam Subramaniam. “The skills and knowledge I gained from my IRF network were valuable for me in my career after that. While my own career took me far from roads to banking, investing and media later, the relationship skills I developed during my IRF Fellowship has been the strong anchor that has defined the success I have earned today”, he added. Before joining the parent company of the Times Group, the largest media business in India, Mr. Subramaniam worked for marquee organizations like Booz Allen Hamilton, Goldman Sachs, and American Express. In 2005 he decided to focus on the Indian market by helping numerous medium and small sized Indian companies with their strategy, capital and talent. Over the years, he served in these firms and investment businesses in various leadership capacities - as Managing Director, Partner, Board Member and as a Founder. According to IRF President & CEO C. Patrick Sankey: “Sammy’s career is an inspiration to us and particularly to the 1,500 professionals from 118 countries, including 50 in India alone, who have graduated from the IRF Fellowship program over the years. His entrepreneurship and passion have had a significant impact on the lives and economic well-being of countless citizens in India and beyond. We applaud him for all his accomplishments and the richly deserved Entrepreneur of the Year Award”.